2. you know how to use Mash updaters (see also here) from a Mash 84 source version/with installed Python 2.7x setup. In this case, you may be interested on how to make mash updaters compatible with TR changed identifiers, as changed identifiers are something standard Mash updaters code can't handle. Also, I think having syncronized Tamriel_Data updates so released new Tamriel_Data version is compatible with all currently released Project Tamriel mods (AFAIK so far Tamriel Rebuilt, Skyrim: Home Of The Nords and Province: Cyrodiil) will probably remain a dream so if you want to keep playing all the projects and still use the updates you must find a way to fix things yourself. It is a complex procedure, but if you are going to have a lot of mods with a lot of references broken, IMO still better try this than fixing things in Construction Set. A premise: I am definitely NOT generally a fan of OpenMW-cs interface/filtering concepts, I find it awkward and clunky compared to MWEdit and even Bethesda CS way to one-right-click navigate records and where they are referenced. BUT, and it is a big but, OpenMW scripting compiler/warning messages is already terribly helpful, I'd say nearly as helpful as checking your scripts using MWEdit can be. Morrowind Code Patch is a must-have for obvious reasons, and greatly configurable as each option can be toggled on/off. Here are IMO the few patch options that are better disabled IF you have related conflicting options/mods. Problem is, often TESTool crashes (probably due to a buffer overflow error) when computing a long mod list. I am assuming here you already know why it is useful to have a merged_objects.esp generated by TESTool. You can travel by boat, ship and river strider in real time. 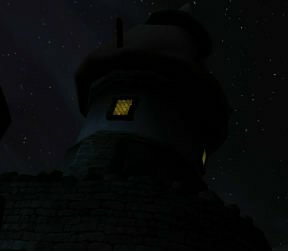 Now compatible with Tamriel Rebuilt - Sacred East v1.5 update.